Eliud Kipchoge celebrates his success. Email “Kenyan marathon master Kipchoge smashes world record”. 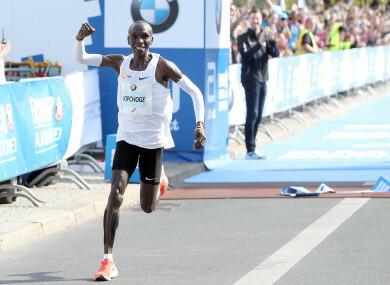 Feedback on “Kenyan marathon master Kipchoge smashes world record”.